successful companies in the world. CFI provides pivotal supply chain solutions to the most successful companies in the world. 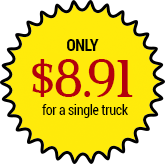 CFI2290.com is an online service provided by ExpressTruckTax, a division of Span Enterprises and an IRS authorized e-file provider. IRS Form 2290 is used to file the Heavy Vehicle Use Tax (HVUT). The annual tax period starts on July 1st. If a heavy vehicle is used in any month for the first time in that tax year, then HVUT must be filed with IRS by end of the following month. CFI2290.com can help you e-file Form 2290 with IRS. Owners of 25 or more vehicles with registered gross weights of 55,000 pounds or more are required to do mandatory e-filing. 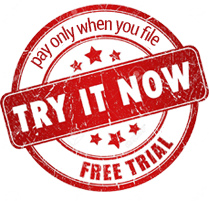 Choose CFI2290 for the simplest and most hassle-free e-filing. This service is provided by ExpressTruckTax , a division of Span Enterprises and an IRS authorized e-file provider. provider. Copyright © 2019 XPO Logistics. SPAN Enterprises LLC. All rights reserved.